At one time in history, I’m going to guess there were dozens and dozens of old castles located in the Dolny Sląsk (Lower Silesia) region of Poland – built to protect borders and secure trading routes. I’d wager that guess because during my 4-day road trip here I saw 10 castles and the badly deteriorating ruins of an 11th castle (plus palatial palaces and historic churches). Maybe I could have seen a few more, but I was already pushing the number of things I did during that short time. Most tourists would have planned a saner travel schedule, but not me. This was my last BIG trip in Poland, so I wanted to make it count! Most of these castles have histories dating back to the 12th to 14th centuries when castles were needed as strongholds in the area. During the 15th and 16th centuries, castles and palaces served as official residences of the country’s lords and bishops. However, the importance of defensive castles began to decline as early as the 17th century because of advanced artillery. This issue was brought to the forefront during the Thirty Years’ War (1618-1648) with the Swedes, which damaged many castles and some were never rebuilt after the war. In the 18th century after Silesia became part of Prussia, some of the castle owners started rebuilding their castles into palaces while others fell into ruin after owners left them behind. This was the case with Zamek Pankowie I came across, hidden amongst the trees. Although some castles have faded into history, I still found plenty to see in this picturesque part of the Lower Silesian landscape. 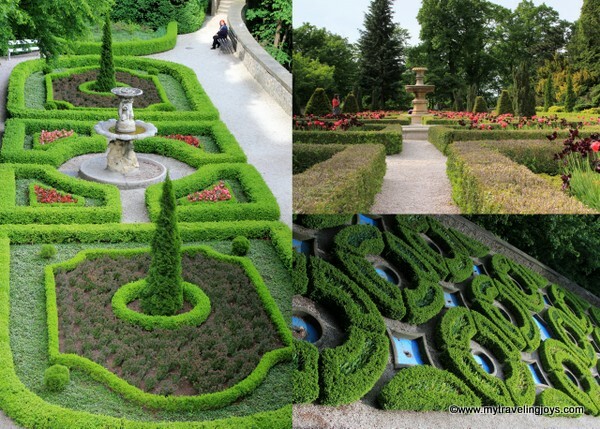 Here is my list for 10 Must-See Castles in Lower Silesia Poland. BTW, zamek is the Polish word for castle, so I’ve used that word to describe the castles. Forty minutes after leaving the Wrocław airport with my lil red rental car, I arrived at ZamekSobótka-Górka, which operates as a hotel and restaurant. I walked in and didn’t see anyone for a bit so I simply started wandering. This building functioned as a Romanesque monastery, which was rebuilt several times, between the 12th and 17th centuries. From what I understand, there may still be a chapel on premise, but not one that I saw on my self-guided tour. In the mid-1800s, the Prussian von Kulmitz family bought the former monastery and had it reconstructed into a Neo-Renaissance castle. Today, two Romanesque lion sculptures, re-discovered during renovations, stand guard near the entrance. This would be the perfect place for a wedding party or other celebration! 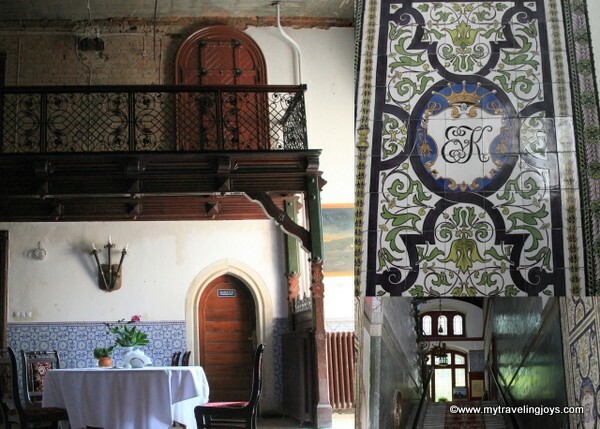 I couldn’t find much information about Zamek w Domaniacach since it is closed to the public and possibly owned by Union of Polish Scenes’ Actors. As I tried to get closer from the road to take some photos, two dogs starting barking at me. This castle, originally built in 13th century, was remodeled extensively in the 18th and 19th centuries and has 125 rooms. This estate, surrounded by stone defense walls with bastions, also consists of a pavilion, granary, horse stables, guardhouse and storage buildings. If you blink, you would easily miss this stop. I almost did as I was trying to figure out where my GPS was taking me. If you’re in the area, it’s worth a quick peek at Zamek Pankowie, which dates to the 14th century, near the village of Panków. The castle, surrounded by a moat and ponds, served as a fortified manor house, a hunting lodge and a local residence before finally being destroyed during WWII. Built between 1568-1591, Zamek w Piotrowice Swidnickie is located 10 km north of the small town of Swidnica. This castle features four round towers at the corners, decorated in the Renaissance style, is privately owned and closed to the public. In fact, the castle has served as a private residence for noble families for the past 400 years! I only had a slight detour off the main road in order to photograph this castle from an empty field. Allocating only 2 hours or so to tour Zamek Książ, simply wasn’t enough time! Standing dramatically on a steep hill, encircled by a gorge, the 13th century castle towers majestically over the area. Being the third largest castle in Poland with 415 rooms, Książ is often called “the pearl of Lower Silesia.” With so many rooms, it’s easy to see why the castle is used as a hotel and for special events. The castle features excellently manicured English-style gardens outside and is surrounded by a forest within a 315,000-acre nature reserve. Książ remained in the Hochberg family until 1941 when the Nazis, under Hitler’s direct orders, confiscated the castle and began construction of a mysterious underground complex beneath the building and surrounding areas. The tunnels were dug by Polish, Hungarian and Greek Jews who were prisoners of the Nazis. A visit to the nearby underground city of Gluszyca-Osowka will give you an idea of the giant scale of Hitler’s Project Riese, which included Książ. The castle has a small exhibit with old photos explaining its history during WWII. Check out the magnificent, restored 18th-century Maximilian Hall, which is the largest room in the castle. Don’t forget to look up and admire the ornate ceiling (designed in 1733), painted with mythological scenes. As I recently wrote, Zamek Grodno was myfavorite medieval castle in Lower Silesia. It’s certainly not the biggest, but I really enjoyed this intriguing-looking castle nestled in the Owl Mountains. 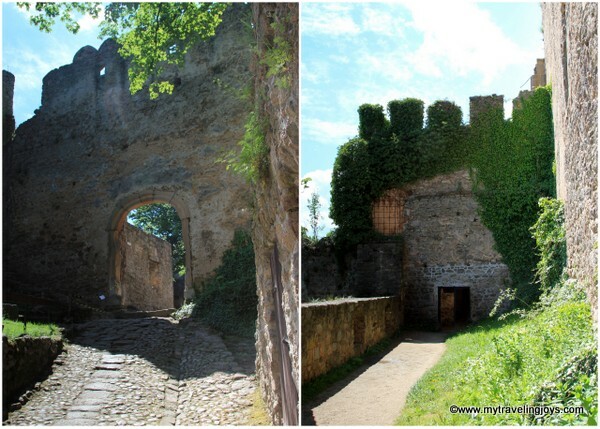 Please read that post to learn more about Zamek Grodno. Dating originally to the 13th century, it’s not known who built Zamek Niesytno, located about 10 minutes away from Bolków. The castle, later turned into a palace, played a role in WWII when German airmen (the Luftwaffe) resided here before joining the eastern front in battle. Unfortunately, much of the castle lays in ruins now, but during my spring visit, builders were working on renovation projects here. Originally built in the 12th century, Zamek Bolków helped protect the trade route to the Czech border and to Jelenia Góra. In the 16th century, the castle was expanded to a total area of 7,600 square meters, making it one of the largest castles in Silesia. Although built on a hill overlooking the small town of Bolków, the castle disappeared from my view as I walked from the town square. I was pleasantly surprised walking around the old ramparts and admiring the view. There was no fee on the day I visited. If you want a difficult, 30-minute climb that leaves you scrambling over giant boulders and exposed tree routes, hike up the black route to see Zamek Chojnik! When I stopped at the park’s information office, I inquired about how to see the castle, and the guide told me that the black route was “more interesting.” Now, I love hiking, but apparently part of the trail had been washed out recently, making my solo climb quite tough! On the way down, I took the mostly paved red route. Once you reach the top, you’ll find Zamek Chojnik perched on the hilltop (627m or 2,057ft) within the Karkonosze National Park, overlooking the Jelenia Góra valley. 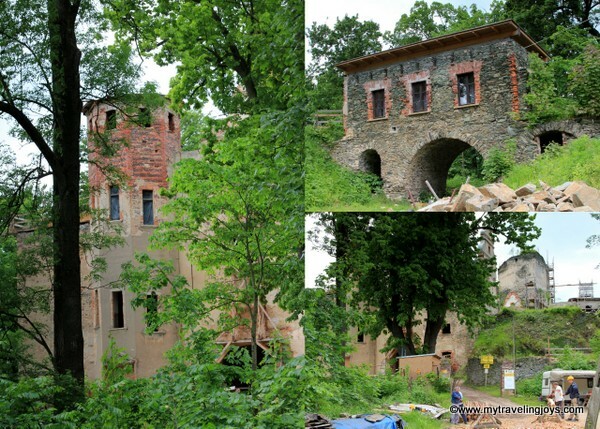 What started as a wooden hunting lodge in 1292 turned into a huge stone fortress. In 1392, a knight related to the noble Schaffgotsch family, took over the castle and it remained in this family until 1945. In 1675, the castle was struck by lightning and was never rebuilt to its former glory. Another unique castle to include on your Lower Silesia road trip is the one that’s connected to the Harry Potter series in a way. Zamek Czocha, appearing dark and gloomy from the outside, is being used as the setting of the College of Wizardry, a live action role-playing game (LARP) that takes place in the Harry Potter universe. You can read more about this 18th century castle in this blog post. Located at the top of an extinct volcano, Zamek Grodziec overlooks the picturesque scenery of Lower Silesia. The castle’s history dates back to 1155, but its present-day Gothic-Renaissance structure is from the late 15th century when the Prince of Legnica brought in master bricklayers from Wrocław to expand it. In the 19th century, the von Hochberg family from Książ took over the castle and ordered more preservation and reconstruction work. Later after several owner changes, German Emperor Wilhelm II was a guest during the re-opening after the completion of renovations in 1908. The castle was later transferred to Silesian Society of History and Antiquarianism Lovers for use as a museum, restaurant and a hotel. If you’re lucky, you can stay the night at Zamek Grodziec, wander around the rooftop ramparts like I did and watch a medieval tournament. Which castle in Lower Silesia would be your favorite? I love castles! Thanks for sharing these picks! A trip to Poland may be in the cards next July and this looks like a great road trip idea! Great to learn more of Poland thru your post! This looks like the perfect area for a roadtrip (and I love roadtrips). Amazing how much you covered in just a few days! 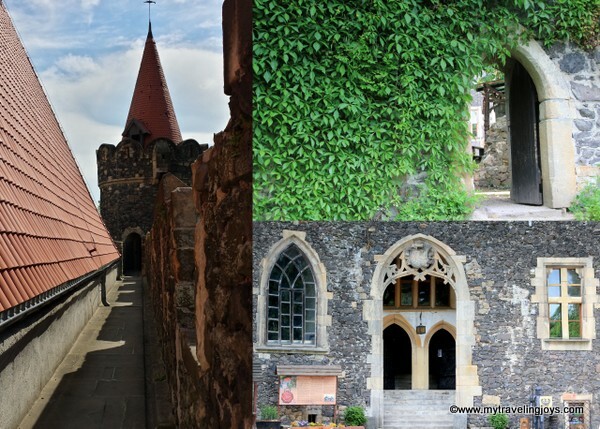 Thanks for sharing this amazing list of castles with us! Each of them is worth visiting! Recently I've found this list http://www.agsinger.com/top-10-most-fun-travel-destinations-for-you-and-your-family/ of the most fun travel destinations in the whole world. Have you already seen most of them? Travel is one of the greatest gifts we can give ourselves. So, I hope to give myself this gift of visiting all of those places in the nearest years ;) What about you?